Macau casinos won nearly MOP 25 billion ($3.10 billion) in November, an 8.5 percent year-over-year increase and a haul that surpassed many analyst expectations. Gross gambling revenue (GGR) is now up 13.7 percent with one month remaining. More than $34.3 billion has been won in 2018, which already tops the $33.2 billion won in all of 2017. November follows a strong October in which Macau gaming floors won $3.38 billion, the largest monthly take in four years. If December keeps pace with the first 11 months of 2018, Macau casinos will win around $37.75 billion, the enclave’s highest mark since it won $43.9 billion in 2014. The GGR report wasn’t the only good news Macau casino operators have received in recent days. The gaming industry is responding positively to US President Donald Trump and China President Xi Jinping’s meeting at the G20 summit where the two leaders agreed to postpone a 25 percent tariff on goods and services exchanged between the countries. However, analysts remain concerned with the VIP segment, which is trying to rebound from Xi including junket groups in his anti-corruption campaign back in 2014. Junkets are responsible for bringing wealthy mainlanders to the gaming enclave. From our discussions with operators, we suspect VIP volume has normalized back to low to mid-single digit percent year-on-year growth in recent weeks. On a positive note, mass-market GGR, especially that of grind mass segment, remains resilient, as reflected by the strong travel data crossing the Hong Kong-Zhuhai-Macau (HKZM) bridge,” Goldman Sachs analyst Simon Cheung explained. The HKZM bridge, a 34-mile expanse over the Pearl River Delta, cuts automobile travel time between Hong Kong and Macau from four hours to around 40 minutes. Trump and Xi’s decision to postpone the tariff sent the world markets up on Monday. And the five licensed gaming operators in Macau that are traded on US exchanges all saw shares increase. 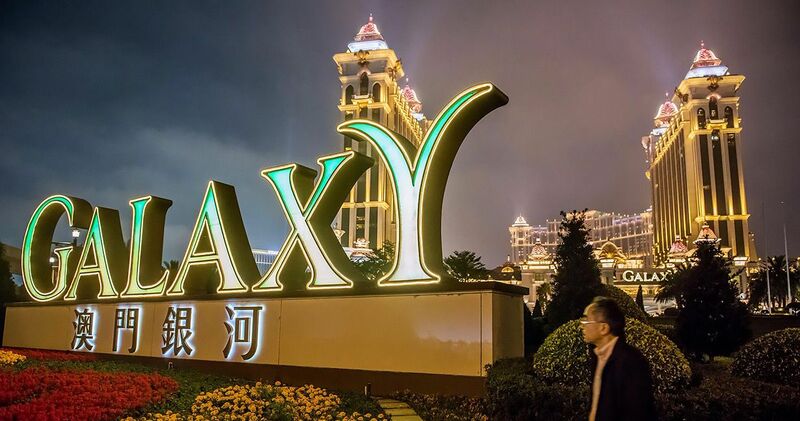 Las Vegas Sands surged 6.1 percent, MGM Resorts climbed four percent, Melco Resorts was up 7.3 percent, Galaxy Entertainment jumped nine percent, and Wynn Resorts was the biggest winner at 9.5 percent. Despite the rebound, 2018 hasn’t been kind to the gaming industry. After reaching a four-year high in May, the Bloomberg Intelligence Macau Gaming Index is down 18 percent for the year. The post Macau Casinos Top Expectations, November Gross Gaming Revenue Increases 8.5 Percent appeared first on Casino.org.